Uber Cleaner services many suburbs throughout Melbourne. As more cleaners register with Uber Cleaner, the Uber Cleaner service area continues to grow. Please call 1300 UBERME to see if there are Uber Cleaners available in your area. Our office is opened from 8.30am-6.00pm Mon-Fri for all enquiries. What if I am unhappy with the job completed? Our Uber Cleaners are human and at times, although they give it their all, may make mistakes but we guarantee nothing less than a flawless resolution to fix the issue. Something of a small nature, we encourage customers to speak directly to the Uber Cleaner however if you are not satisfied, feel free to contact Uber Cleaner’s customer service on 1300 UBERME & we will do what we can to assist with the matter. Uber Cleaner offers a 100% happiness guarantee on all cleaning work. As a client, if you are not happy with the work carried out, your Uber Cleaners will be sent back to take care of the problem. You are not required to be home for a scheduled appointment. Depending upon your comfort, you can choose to be home during an appointment, choose to come and go or to not be home at all! 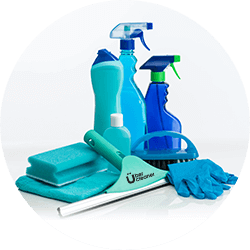 Our Uber Cleaners are prepared for all scenarios and are comfortable working with or without clients in their homes during appointments. For One Off/Spring Cleaning & Vacate/End of Lease Cleaning, you can cancel scheduled cleaning as long as 3 days prior notice is given. A 50% charge for the clean will be invoiced to you if the job is cancelled within 48 hours and a 100% charge of the clean will be taken if the job is cancelled within 24 hours of the clean taking place. No problems at all. Pls advise the Uber Customer Service Rep at the time of booking or your cleaning technician. For Carpet Cleaning, Window Cleaning & Upholstery Cleaning, payment can be made by Cash or Bank Transfer. For Regular House Cleaning, the customer must pay the cleaner directly by Cash or Bank Transfer Only. If you would like a receipt after each clean, please advise your cleaner. For purchase of cleaning products, payment must be made by in full by Cash. Bookings can be made online. A sales representative will then call you to complete the booking. Otherwise you can call 1300 UBERME and make a booking over the phone. Every Uber Cleaner is fully insured for Public and Product Liability and are Police Checked. Does Uber cleaner sell any products? Yes, Uber Cleaner has a carpet spotter for any spills or stains that may occur after your clean. Speak to carpet technician or call 1300 UBER ME for further information. Do I need to supply any cleaning products & equipment? No, for One Off/Spring Cleaning & End of Lease Cleaning, our cleaners will bring all the cleaning products and equipment necessary. How is Uber Cleaner different from other cleaning companies? The Uber Cleaner owners have over 20 years of experience in the cleaning industry. Identifying a gap in the market: customers wanting an affordable, high-end clean, the Uber Cleaner training team have passed on their knowledge and skills to each of the Uber Cleaners, and hold workshops & training seminars prior to allowing the cleaners to become registered Uber Cleaners. Uber Cleaner holds all registered cleaners accountable for their work and ensure that every Uber Cleaner is fully trained, insured and registered.